The Lyon of Bruno Genesio has so far been the only team to inflict a defeat at Manchester City. It happened in the first day of the group stage of Champions at the Etihad Stadium when the transalpine were imposed for 1-2. Today, after 4 days, the Citizens of Pep Guardiola are leading the Group F with 9 points, three more than Lyon that in the last round of the championship right at Groupama Stadium won 1-0 against the Saint-Etienne with a network of Jason Denayer. The home team will not be able to dispose of Gouiri, while Fekir and Dubois are in doubt. The Manchester City has won on the West Ham field for 0-4, thus putting the eighth success in a row among all the competitions: David Silva, Raheem Sterling and Leroy Sane (2) the goals of the Citizens. In Lyon the team of Pep Guardiola will be without De Bruyne, Bernardo Silva and Mendy, while it is to be evaluated Mangala. The Manchester City has won the last 8 official matches played between league and cups. Manchester City have conceded just 2 goals in the last 9 official matches played between league and cup. The Manchester City closed the first half in the last 8 official matches played between league and cups. Lyon have scored in 5 of their last 6 official matches. 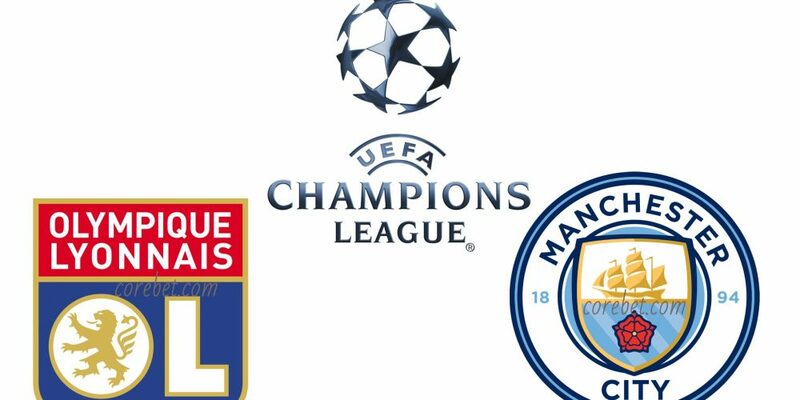 Despite the result of the first leg and despite the factor playing for Lyon, we risk a victory for Manchester City from the first half. Pep Guardiola’s team is playing very well and Lyon will miss the Fekir bomber in attack.